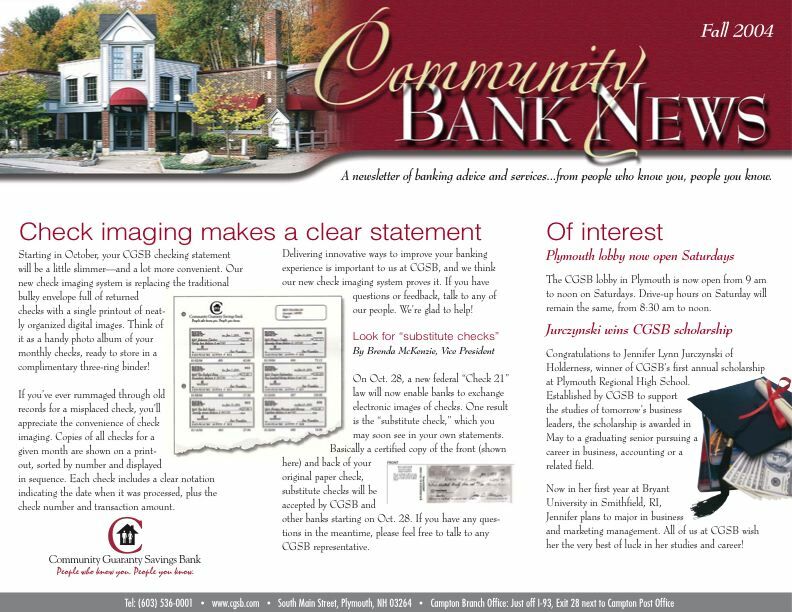 This high-impact statement insert said a mouthful for Merrimack County Savings Bank, introducing customers to “tap and snap” check deposit via smartphone. More than creativity, knowing your target market is the true essential of rate advertising. The type of customer parking their money in a short-term CD will respond strongly to low risk. Foreign nationals who use the World Bank's credit union expect frequent relocation, making this "Moving In/Moving On" headline a welcome expression of flexibility. Rhyming is unfashionable in advertising circles, but so are jingles -- and both work. Big rate, short headline, immediate benefit. Publicizing bank grants to local non-profits, this email promoted community service without over-promoting CSB's philanthropy. Upgrading to a responsive design for mobile devices gave me the opportunity to improve Claremont Savings Bank's online experience. See case story here. I wrote the online content for this landing page, providing easy-to-digest content that helped customers (and the bank) enjoy a smoother homebuying process. This New Hampshire credit union wanted a midwinter promotion to launch their 24-hour teller. Piles of sand in the lobby and tiki bar decor helped customers forget the snowdrifts outside. A vertical stuffer is a difficult size to fill convincingly, but this foreshortened gear shift lever was a good fit and tied neatly into the headline. 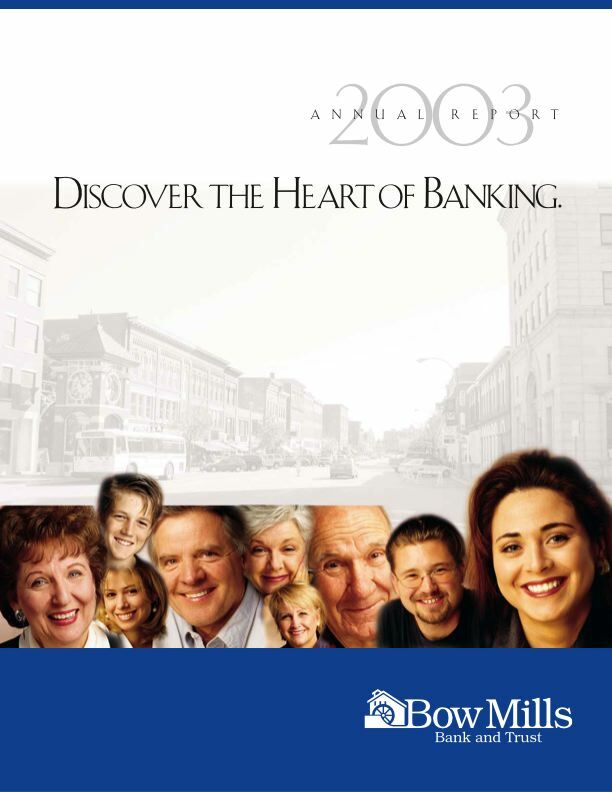 Product ads were rare for this commercial bank, which typically used customer portraits to convey its attentive personal service. So I applied a similar message for this checking product. For a little local bank with a surprising array of value-added financial services, I planned every detail of this campaign down to the media unit -- a lower half-page on each side of a spread. My print campaign extended easily to the bank's annual report, celebrating personal service, local roots and community volunteerism. I do a lot of research. When I found an ancient newsletter describing emeritus CEO Herb Little's preference for a desk close to customers, I knew I had my angle for this campaign entry. 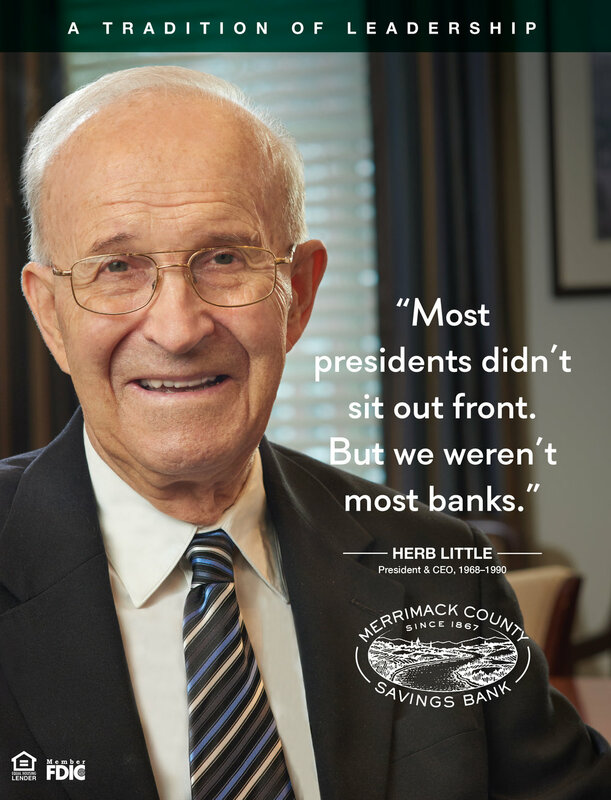 Bank presidents from the past half century were featured in this campaign, contrasting a 150-year history of local leadership with constantly merging mega-banks. With CEO Paul Rizzi on the verge of retiring, I wrote a campaign welcoming the new president as part of a 150-year tradition of unbroken local leadership. Then he fired us. Typical. Old-money traditions and service were key attributes for this rebranded investment arm of Merrimack County Savings Bank. Old-school New England industry took on a modern look with these materials for the rebranded MillRiver Wealth Management. The pride of a growing entrepreneur is key to this insert, but I liked my other proposal better: "You've Come a Long Way. Shouldn't Your Checking Account Finally Catch Up?" Mnemonics and key words drive a lot of my concepts. Tying the home equity line into a benefit headline and visual is the sort of synergy I favor for increasing reader recall. What's wrong with this picture? Tweaking a well-known visual was an easy way to gain sympathy with bank customers tired of "safe and sleepy" CDs. I've written a lot of newsletters, including this six-panel foldout for bank customers. A slideshow with details on my work for banks and credit unions, plus an article on my first responsive design website.